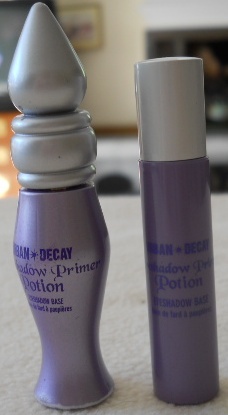 I went to Newark with my mum a few weeks ago, and she was on the look out for a new Eyeshadow Primer, since the mini-sized one from Urban Decay that she has is starting to run out. The only eyeshadow primers that I know of are of course Urban Decays, and the Too Faced Shadow Insurance, of which I had never tried, but as expected, the Newark Boots is tiny, so we didn't expect to find either. But, the plan was to find out if any of the cheaper brands offered a cheaper substitute. The answer? No. But, they do have a Clinique one for £20 if that's any good? £20? Are you serious? In the end, I ended up ordering a Too Faced Shadow Insurance for my mum from Asos.com for £10.77 since it was her birthday. 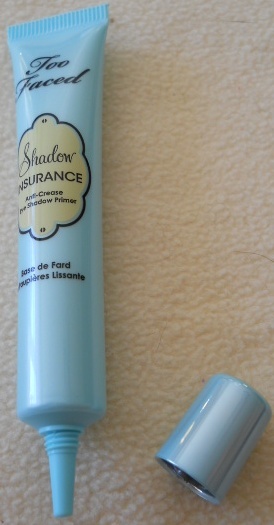 But, it made me wonder why so few companies offer eye shadow primers? Maybe they do, and we're just missing them. Maybe they're so popular they're always sold out. Or maybe they don't think we need eyeshadow primers, which is weird. A few brands do Face Primers, and several brands of Mascara come with double-ended ones with a white primer on one end, so why are eyeshadow ones so exclusive? I guess the lack of competition explains why the ones available are so expensive, but then, the brands that do sell the primers are expensive brands anyway. It just seems weird to me. 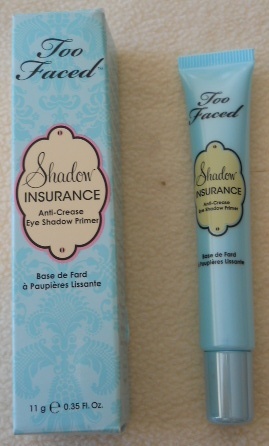 We haven't actually tried the Too Faced Shadow Insurance yet (expect a review in the future), but it seemed like a natural progression to move onto the Too Faced alternative, because although both my mum and I agree that we don't know how we lived without eyeshadow primers, the bottle shape is just such a nightmare, and the stopper that prevents you taking out too much product seems like an annoyance too, in the sense that it makes you think there's no product left when actually there is. For packaging, I was very impressed with the squeezable tube and funnel, so I'm fairly confident that this product is going to score highly in that sense, but only time will tell if the actual product inside the handy tube will live up to its main competitor of Urban Decay, so we shall see. I definitely agree that most beauty bloggers shout louder about UDPP and Shadow Insurance than any other, but I've also not been able to find anything else instore, so perhaps the good old internet is the place to be. I got the Mineral Primer from ELF and it's not bad but it's not as good as the Shadow Insurance in my opinion...but at £3 I didn't expect too much! Also I heard UDPP will be releasing their primer in a new package design very similar to Too Faced's tube but I don't know when that'll be available in the UK.